Guide price is per person. Based on 2 people sharing for 7 nights on Bed & Breakfast. Flying from selected regional airports with summer departures. 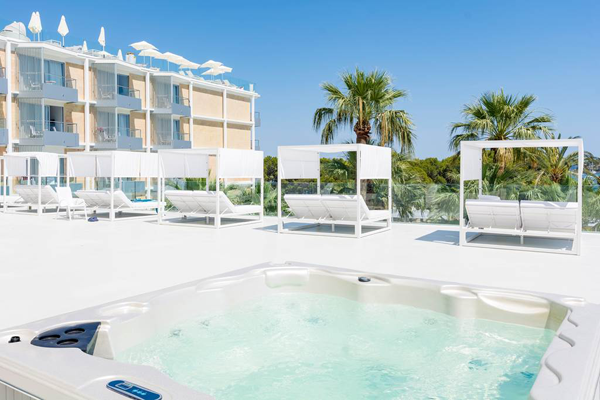 The four star plus Senses Palmanova Hotel has recently had a fabulous full refurbishment. 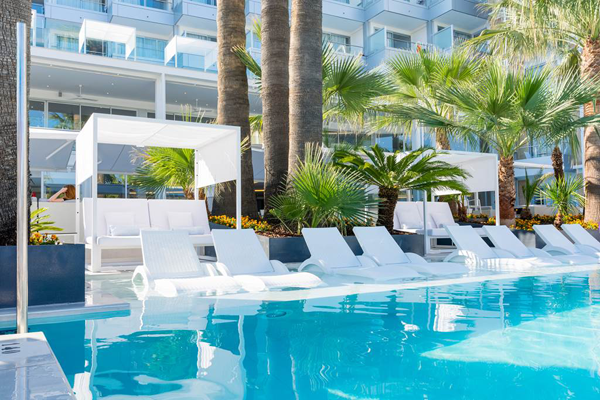 This stylish adult only hotel is in a prime spot from which to enjoy all that this popular resort has to offer. An ideal choice for couples looking to get away from it all for a relaxing break, there is plenty of opportunity to lie back and chill out in the warm summer sunshine on luxury sun loungers and Bali beds. 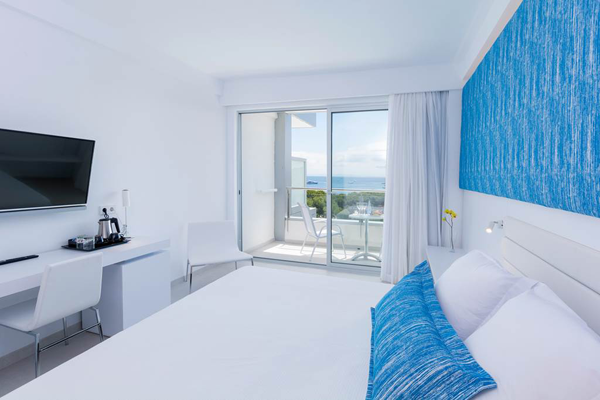 There is a main block as well as an annex offering stylish rooms and the chance to upgrade to luxurious suites with outdoor whirlpool and stunning sea views. 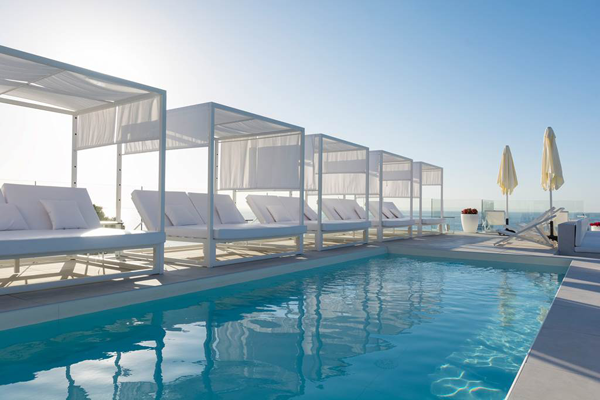 Treat yourself and upgrade to the Privilege rooms and live the life of the rich and famous by gaining access to the private rooftop terrace complete with swimming pool and pool bar and fab views over the bay. BOARD BASIS: Bed & Breakfast • Half Board is also available at a supplement. 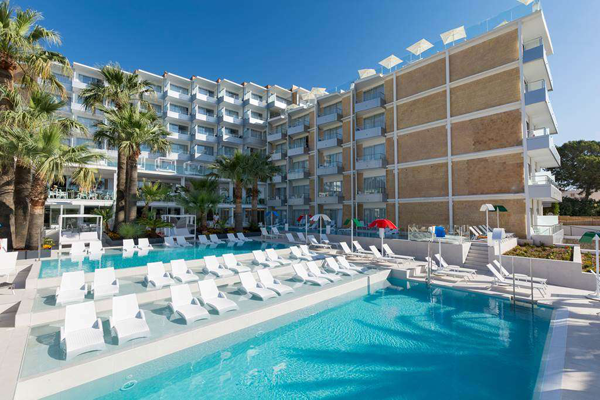 LOCATION: 50m from Palma Nova beach • 100m from Palma Nova resort centre • 1km from Magalluf resort centre. FACILITIES AND ACTIVITIES: Outdoor pool • Indoor pool • Two bars including a coffee bar and pool bar • Buffet restaurant • Petanque and table tennis • Gym • Regular evening entertainment including professional shows • Free Wi-Fi is available in communal areas • Access to private rooftop terrace, pool and bar with Privilege upgrade. ACCOMODATION: Standard King rooms sleep 2 adults and have bathroom containing a shower • flat screen television • Safety Deposit Box • Air Conditioning. Room upgrade options are also available including swim up rooms and Privilege service.